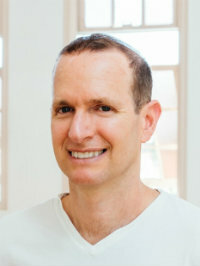 Jivana Heyman, C-IAYT, eRYT500, is founder of Accessible Yoga, an international non-profit organization dedicated to increasing access to the yoga teachings. Accessible Yoga offers Conferences, Trainings, an Ambassador program dedicated to sharing yoga with every body. He is co-owner of the Santa Barbara Yoga Center and an Integral Yoga Minister. 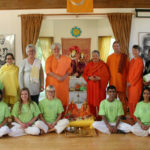 With over twenty-five years of training and teaching in a classical yoga tradition, Jivana has specialized in teaching yoga to people with disabilities with an emphasis on sharing yoga philosophy. His passion is making Yoga accessible to everyone. Over the past 20 years, Jivana has led more than fifty yoga teacher training programs around the world. In December 2015, Jivana was invited to teach Accessible Yoga at the United Nations in Geneva, and he continues to work toward expanding access to the teachings of yoga.